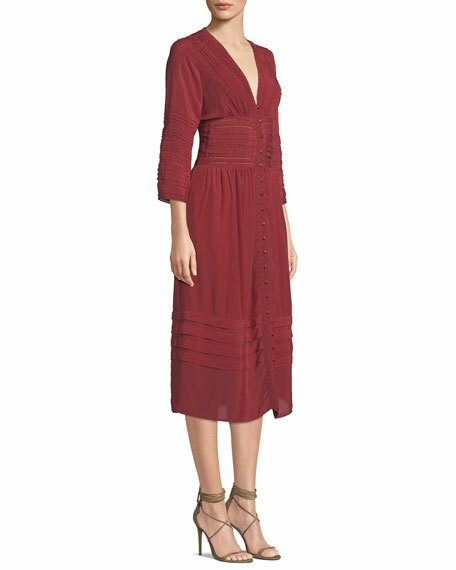 Sea "Azzedine" dress with pleating and lace detailing. In 2007, lifelong friends Monica Paolini and Sean Monahan launched Sea from their loft-turned-studio-turned-showroom on Canal Street in NYC. 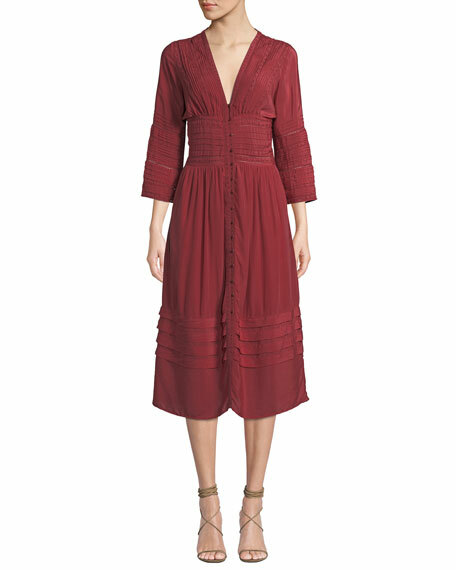 Their thoughtful and vibrant collections emphasize easy-to-wear polished pieceswith unique feminine touches and playful twists. A.L.C. "Sienna" pleated ombre cocktail dress. Approx. 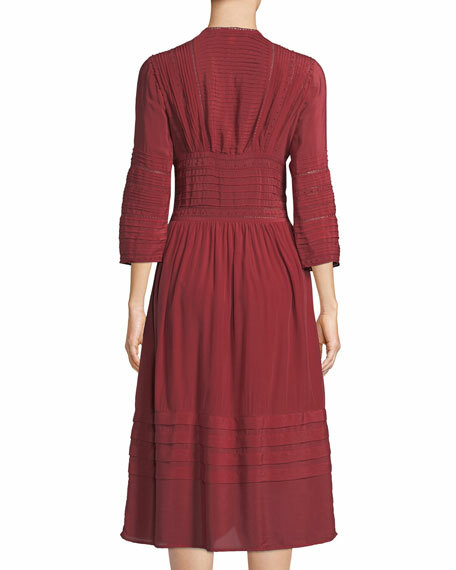 length: 49.5"L from shoulder to hem; 35"L down skirt. V neckline. Sleeveless. Wrapped front. Cutout waist. A-line silhouette. Midi length. Side zip closure. Polyester. Cotton/polyester lining. Imported. 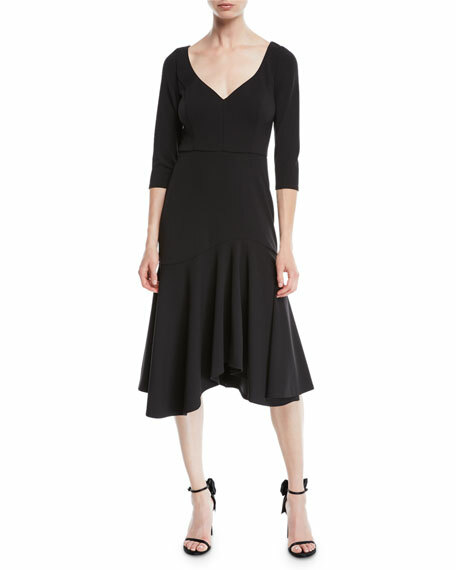 Halston Heritage midi dress with flounce skirt. Deep V neckline. Elbow-length sleeves. Fit-and-flare silhouette. Flounce ruffle skirt. Hidden back zip. 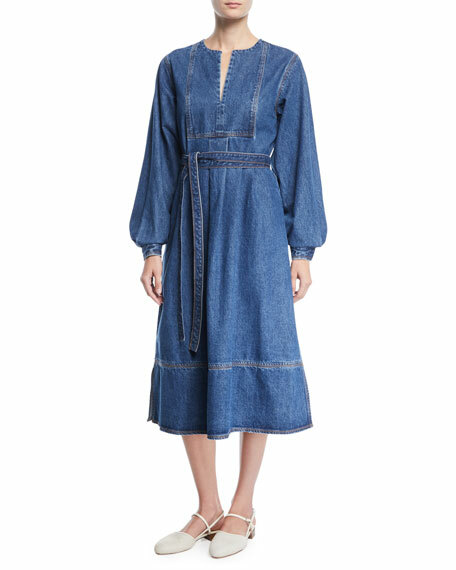 Midi-length hem. Polyester. Dry clean. Imported.